Napa Bath CollectionNapa Bath Collection, alt="Napa Bath Collection, "
Available in three convenient set-ups (Essential, Luxury, or Ultimate) so you can easily curate your bathroom look. Wondering what’s included in each set? See Dimensions & Care below. Print A nod to the great tradition of classic Turkish spa towels, this is dense and absorbent without feeling bulky. It’s loomed from pure Turkish Aegean cotton to be invitingly soft and gentle on the skin – an everyday luxury for your bath. Because we love pampering in style, we’ve created three fabulous set-ups: The Essential Bath Set, The Luxury Bath Set, and The Ultimate Bath Set. The Essential Bath Set includes 2 washcloths, 2 hand towels, and 2 bath towels. 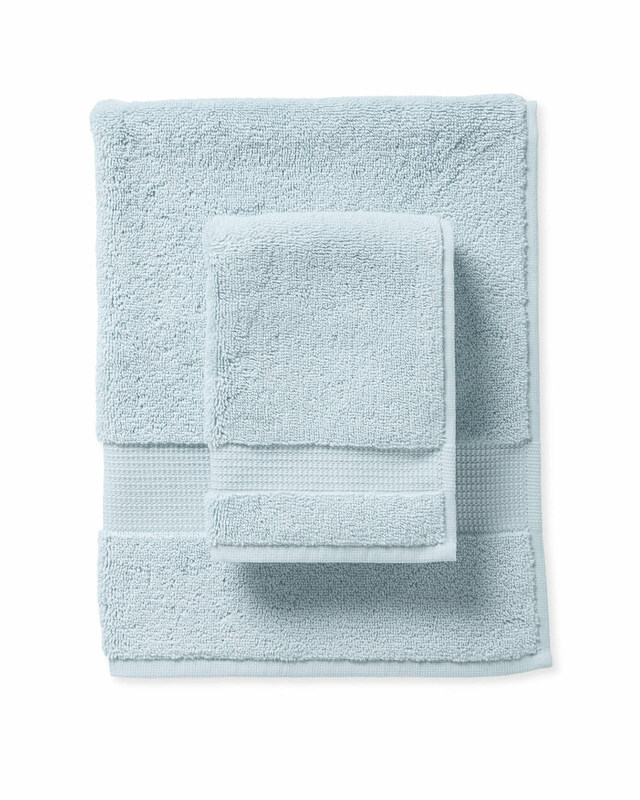 The Luxury Bath Set includes 4 washcloths, 4 hand towels, 4 bath towels, and 1 Kenwood Bath Rug in matching color. The Ultimate Bath Set includes 4 washcloths, 4 bath towels, 4 hand towels, 2 bath sheets, and 1 Guerneville Bath Rug in matching color. 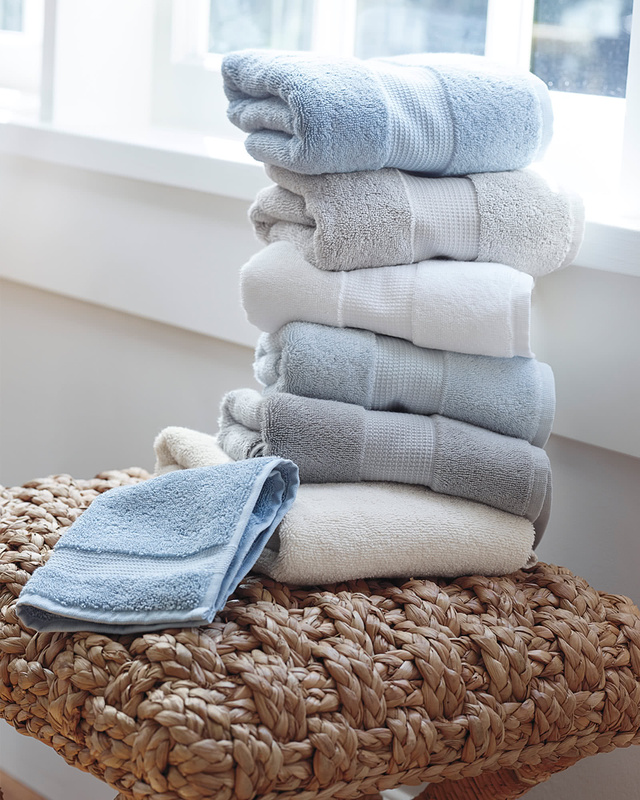 A classic Turkish spa towel – dense and absorbent without feeling bulky. Oeko-Tex certified, it’s eco-friendly and free from harmful chemicals. Machine wash warm. Tumble dry low. Hand Towel: 30” x 20”. Bath Towel: 56” x 30”. Bath Sheet: 70” x 40”.